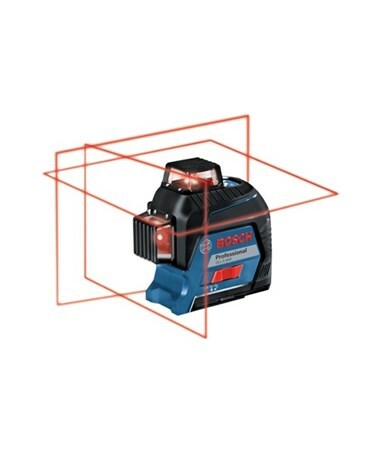 Featuring an all-in-one level and alignment solution, the Bosch 360 Degree Three-Plane Leveling & Alignment Line Laser comes with one 360-degree horizontal and two 360-degree vertical red beam laser planes. It offers an accuracy of ±3/32 inches at 30 feet which makes it ideal for surveyors, engineers, architects and other construction professionals. 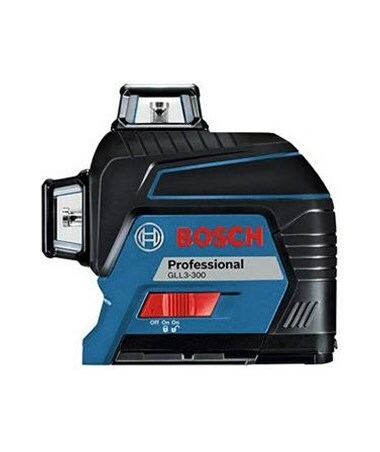 Also, this Bosch line laser level is self-leveling up to ±4 degrees and comes with a working range diameter up to 200 feet and up to 300 feet when paired with other optional Bosch receivers using the Pulse mode. 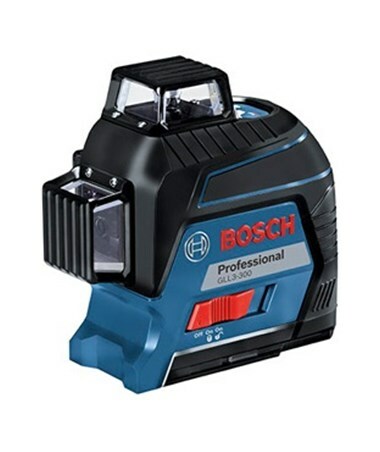 This Bosch line laser features upgraded diodes and a brighter red laser beam that makes it easier to do line up level, align, square and plumb with one setup point. Also, it comes with a manual mode that locks the lines for any angle usage. This laser level boasts the built-in VisiMax technology that keeps track of power consumption in order to optimize laser visualness while extending battery life. 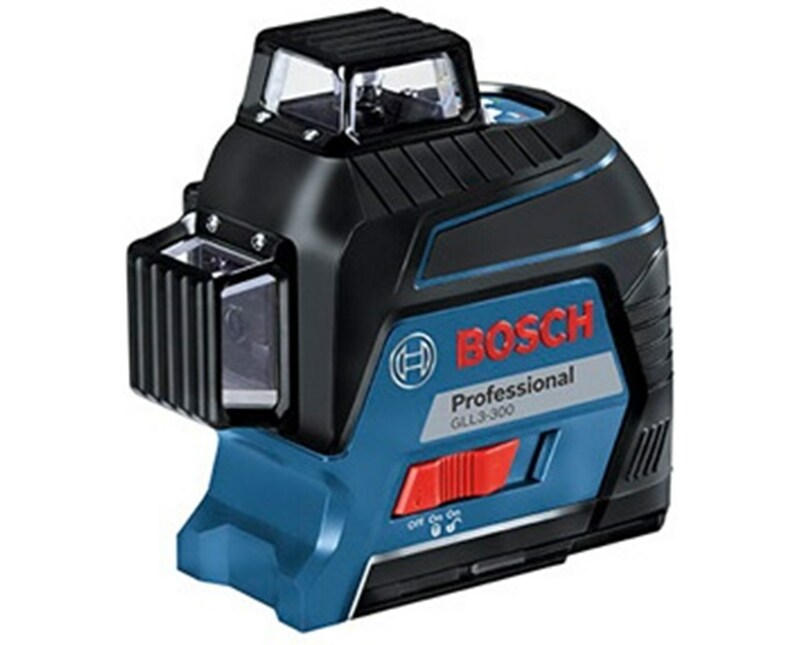 With an IP54 protection rating, this Bosch laser level is secured from dust and is water resistant. It includes a BM1 positioning device that can be clamped to various surfaces, can stand on the floor using its retractable feet, and can be mounted against a wall or wood with screws. As an additional feature, this leveling laser has both a 1/4-20 and a 5/8-11 tripod thread that is compatible with most tripod brands.